Windsor Place of Wilmington is a clean and friendly place. My aunt's room is ideal for her because it's spacious. The food is good, and the dining room is very appealing and done very nicely. She can get her hair and nails done once a week. They have a gym, daily activities, and a bus for field trips. The staff has been very good. My mom moved into Windsor Place this past weekend. Kudos to the entire staff for a seamless transition. All knew my mom by name and were aware of her needs. The prepararion for a new resident was obvious and much appreciated. My mom already feels comfortable due to the friendliness and helpfulness that surround her. She has already participated in many activities and looks forward to many of the planned outings. For example, a cruise down the Concord River is scheduled for this week. Another appreciation is the open door policy of administration. Dialogue is encouraged and never rushed. Windsor is a great place! Thank you for your review. We love our residents and so glad it shows! Thank you for sharing your mom's experience with other family members that may be trying to find the perfect residence for their loved one. Have an enjoyable Summer. Thank you so much for the wonderful care you provided my dad. Your respect and compassion for all the residents is evident. Thank you for the smiles and concern. My Mom and Dad were residents in the Memory Care Unit. They moved in July 2016 and sadly my Dad past six months after and my Mom past July 2017. My family and I always felt that were taken good care of at Windsor. The owner and staff were very responsive to my parents and my family’s needs. I also had hospice care for my Mom at Windsor. I knew she was getting the best care possible. When my Mom was brought to the emergency room, the ER Nurses asked me where she was coming from. I asked them why they were asking me, they told me it was obvious by my Mom’s physical appearance that she was being taken very good care of. I attribute that to the staff at Windsor as well as the hospice care she was receiving as well as the team from Dr. Soma’s office looking after her. My Mom was 90 years old when she passed and I can say the last year of her life at Windsor was quality. I directly attribute that to the all of the Windsor staff from the caregivers to the activity director as well as the hospice team and Dr. Soma’s staff. I would not hesitate to recommend Windsor Place. This facility is not a franchise. It is owned by Elissa and her family. She is on-site every day to assist the residents of this assisted living. Food is excellent, the CNA's are trained and have the skills to help the ladies and gentlemen who live here. I came as a "respite" resident after rehab and decided to stay as a full-time resident. The community is very friendly and helpful. Everyone knows my name and greets me. The service is great. The meals are great -- varied and deliciious. The activities are fun and educational. I feel great gratitude to be here. Barbara: Thank you for your favorable comments. I am so glad that you made Windsor Place of Wilmington your new home. Your are a great addition to our Windsor Place community and your spirit and booming laugh is infectious and just makes my day! I love living at Windsor Place.The people are nice, and the staff is very helpful and attentive o my needs.The nursing staff is knowledgeable as well. The activities keep me active. Windsor Place is just barely four years old. It's right on the Reading-Wilmington town line. We have one of the 2-bedroom apartments here and we find it pretty tight, much less room. It does have three closets and that's nice. One of our three daughters lives right here in Reading just around the corner from Windsor Place which is where we are and she's a physical therapist. She has worked in these kind of places and she has a pretty good idea that Windsor Place is perhaps as good as it gets for this immediate area. One of the big advantages that we find for us is that she just was around the corner so we see a good deal of her and the clinic where all of my wife's doctors are now. This is much more practical, much more convenient and much, much safer which was the primary goal that my daughters realized because Barbara had some pretty difficult falls. They have an amazing activities director. She's very good and she arranges an awful lot of good things and so we have a monthly talk, a presentation by a retired history professor and he is just incredible. It's so, so informative. He knows a lot of details of historical things from George Washington, pre-revolutionary war and then he did hit Hawaii and the attack on Pearl Harbor. Just amazing, amazing talk and that's once a month and we really look forward to that. All of us do. There's a full time nurse on duty and all the certified nurse assistants and they have a business manager, an activities manager. They have maintenance people here that come at your beck and call if anything is wrong with the facility. They have three terrific meals a day here. Great cook. They have an assisted living and dementia and in Barbara's case, they have someone come in the morning, get her cleaned up, dressed and the same thing at night and also two more times during the day. A total of four times they give her meds, one at breakfast, one at dinner and one at bedtime and one at noon especially. So the arrangement is working quite nicely. When Barbara is in typical condition, I'm able to get away for a few days back to our home in New Hampshire and get some things done and my medical facilities are all still up there. When I go back, I do all my appointments and stuff for a few days. So that's what the girls would like to have, something that allows me some degree of freedom to a certain extent and as soon as we get Barbara back to the condition she was in before she had a hospital stay and we're hoping for that. It was a swallowing thing due to Parkinson's but the care here is quite good and the food is great. They have a bus that goes out at least once a week to one of the shopping areas, either groceries or whatever. I don't know why anybody would go grocery shopping because there's much more food here and more variety than anybody could possibly want. They also have trips. We went to Harvard Square and did some history tours. Bus trip and guided tours here and there. I'm trying to think of the writers' museum on Western Massachusetts. We went to the butterfly museum. That was kind of fun. I took a bunch of pictures there and had some fun with them here. I've given them a couple of slide shows myself as we've traveled a great deal around this country but they have slide shows here, professionals that come in typically once a month. Maybe once every month and a half, they give slide shows, the travel trips and so forth. It's pretty good. Very happy with the staff and facility. I visited this facility and found that it is fairly new, clean, and organized. I saw there is a piano for entertainment, a schedule for all sorts of various activities that seemed fun. The staff seemed friendly and the living area was very large with lots of comfortable, new chairs. The dining area was like dining in a fancy restaurant, four star hotel with all the clean silverware, folded napkins, nice white dinnerware and tablecloths and new chairs. The serving staff was friendly. The people who lived there seemed happy and they were allowed to go outside where there is a pathway and a garden area with benches. On their website, I was invited to have lunch there and bring a friend or relative. They are very happy to allow you to tour their very recommended newest facility. There was plenty of parking at Windsor Place as well and in a nice, wooded area, away from any busy roads. This is a very well kept, clean facility. I would highly recommend this place. I researched the property myself. Upon my findings I found that the facility was very clean, the staff was very helpful and cheery. The marketing director very nice and made me feel right at home, she brought me a glass of wine. I could not believe the dining room was beautiful. I only had one concern was I have family that visits me with their kids. I did not see a place where we could visit together. Windsor Place of Wilmington was good and very nice. We enjoyed the people that showed us around the community. We had lunch there and it was very good. The place was clean, and the rooms were large. It looked comfortable, and the people seemed to be very friendly. Thank you for providing a great place to live. We have a memory community within our larger community. We offer respite care so that you can try us out! We have so many great activities which include entertainment within our building and trips every week to very exciting places! The food is delicious! Housekeeping keeps the community spotless! 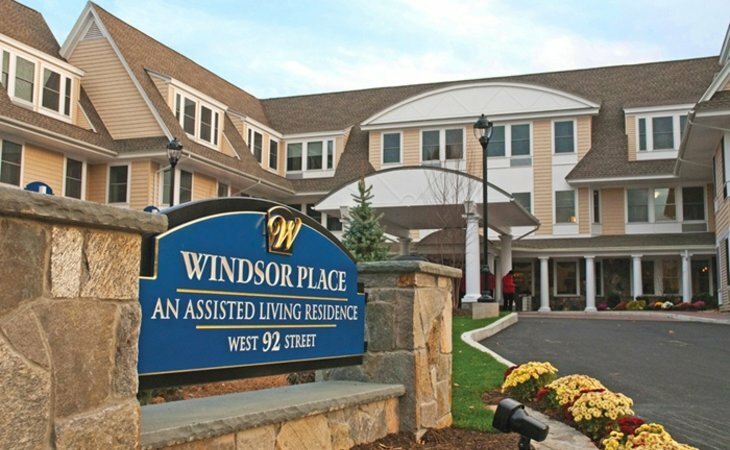 What should caregivers and potential residents know about Windsor Place of Wilmington?